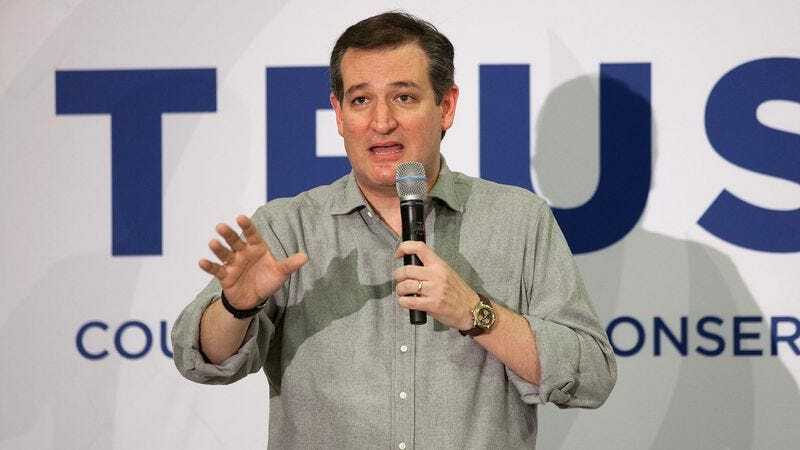 MILWAUKEE—Attempting to connect with voters in the run-up to Wisconsin’s crucial state primary next week, Republican presidential candidate Ted Cruz reportedly opened up to a town hall crowd Tuesday about his early days as a larva feeding on a rotting porcupine carcass. “Those days spent regurgitating my own bile in order to soften up the animal’s decomposing flesh taught me a lot about life and really shaped who I am today,” said a wistful Cruz, adding that he learned to appreciate hard work and family while burrowing alongside the hundreds of other members of his brood into the most festering part of the carrion. “Those were much simpler times for America, back when every parent could easily provide enough animal remains for their young, and the biggest worry was finding a warm, dry location in which to pupate. Of course, it wasn’t always easy to tunnel through the layers of decayed muscle tissue to reach the sweet, putrefied viscera inside the abdomen, but that struggle prepared me to fight for this country.” According to sources, Cruz concluded the speech by promising voters he would remake America into the kind of place his children would be proud to deposit clutches of eggs into.